wonders will never cease. : cobalt = cool. if you are following my instagram, you may have noticed that i am hung up on some bright blue cobalt, especially in art and accessories (aka pillows) - the color seems super appropriate ERRYWHERE, even in a more traditional space, while also being hip and cool and fresh. turn down for what, or turnnt up the cobalts, or something like that. i don't know the lingo these days, you guys!! even though it's still a million degrees here in space city, it has been surprisingly cooler in the evenings. which probably explains why i dreamt last night that i was wearing the world's most beautiful cobalt leather jacket. 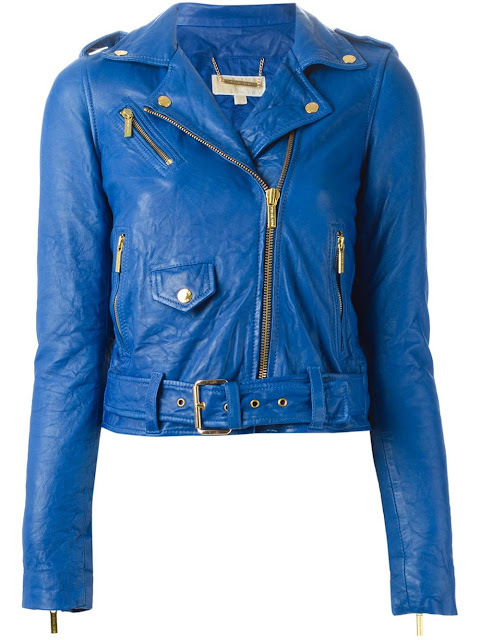 cobalt moto jacket = LITERALLY THE COAT OF MY DREAMS. are these so last season? i don't even know... i am currently living in a shanty down by the river so i'm not exactly hip to the fashion trends these days. BUT I NEED SOME COBALT LEATHERS STATTY STAT STAT. here are two that i will gladly take if you are feeling benevolent.